MySQL and MariaDB are by far the most widespread Open Source database systems around. Still, many users out there are not satisfied with what MySQL and MariaDB have to offer. 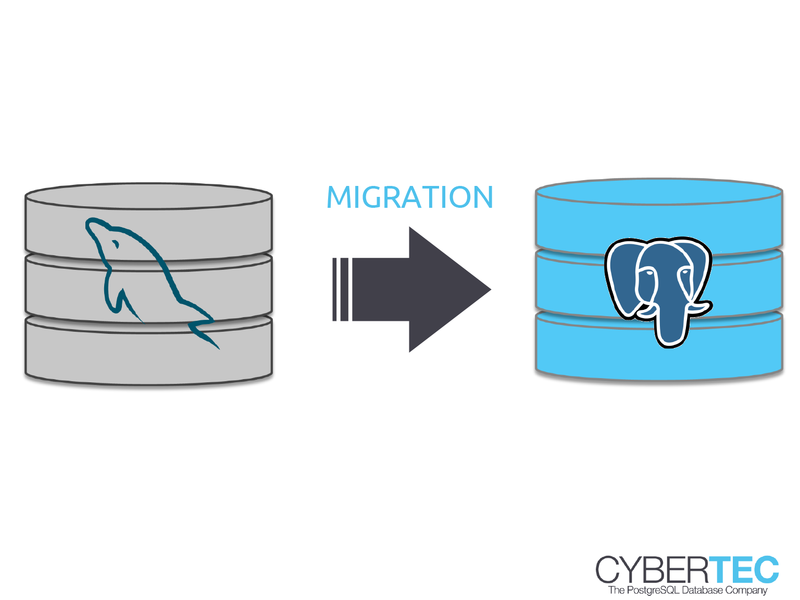 Migrating from MySQL or MariaDB to PostgreSQL is therefore a logical step and makes a lot of sense from a technical point of view. Why favor PostgreSQL over MySQL / MariaDB? MySQL and MariaDB have a totally different historical background. Traditionally MySQL has been used as a small web databaseand it still powers millions of websites. However, proper handling has often been sacrificed in favor of speed and ease of use. PostgreSQL will rather error out than silently corrupt your data. We marked the column as “NOT NULL”. PostgreSQL has to error out and reject bad data. Note that these are just a few examples. If you want to see a more extensive (yet far from complete) compilation of problems, consider watching the following video. If you want to move to PostgreSQL, we are more than willing to help. We use a modern toolchain including mysql_fdw, pg_chameleon as well as many custom made scripts, which make the migration process easy and smooth. data has to be cleaned before imported into PostgreSQL. We provide professional services to customers around the world who want to get rid of MySQL and move to a more professional database engine such as PostgreSQL.